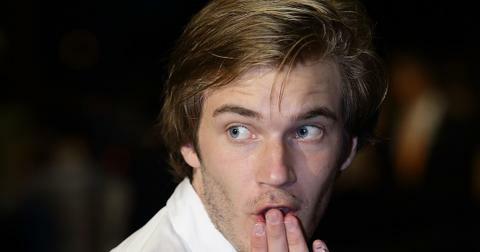 Is Swedish YouTuber PewDiePie Really Quitting YouTube? It's official. 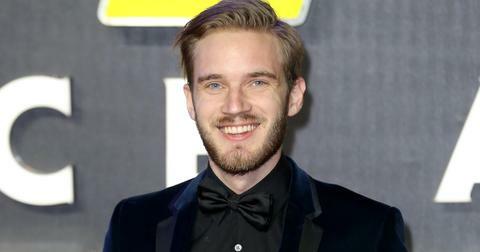 Swedish YouTuber PewDiePie (real name: Felix Kjellberg) is "leaving" YouTube and joining the live-streaming video service known as DLive. PewDiePie, who currently has more than 93 million subscribers on YouTube, will start streaming on the platform on Sunday, April 14 at 10 a.m. on dlive.tv/pewdiepie and the DLive app. “I’m excited to start live-streaming again regularly," PewDiePie said in a statement. "DLive is great for me because I’m treated like a real partner just like all of the other streamers on their unique platform." But why is PewDiePie "quitting" YouTube? Unlike YouTube, DLive promises much better economic terms for its content creators. According to Variety, DLive "doesn’t take a cut of the revenue generated by live-streaming creators." For example, Amazon's Twitch keeps 50 percent of channel subscription revenue. Plus, DLive, which is "built on top of the Lino Network blockchain-based currency system," credits live-streamers based on the consumption of their content. So, this seems like a win-win for everyone. "DLive is a place where instead of competing against each other, it benefits creators to support one another,” co-founder of Lino Network Wilson Wei said. "PewDiePie has always been a fierce advocate for the value that creators bring with their hard work, time and effort, and he believes in DLive’s vision." 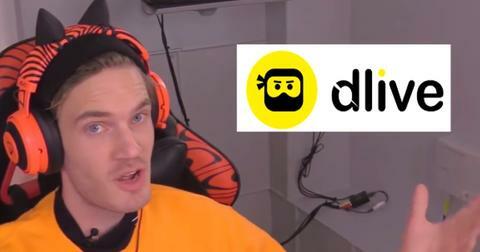 Kat Peterson, who is a member of PewDiePie's management team, also revealed that he is switching to DLive because "this particular platform was able to support a lot of what he’s going after in terms of innovation and support for other creators." She continued, "This was a really good fit for him. This platform is able to support creators, in terms of the revenue share, in a way that is hugely favorable to the creator." PewDiePie also pledged to donate $10,000 and $50,000 in the platform’s currency to other creators to encourage more people to join DLive. When did PewDiePie start on YouTube? In 2010, PewDiePie joined YouTube while he was a student at Chalmers University of Technology in Sweden. 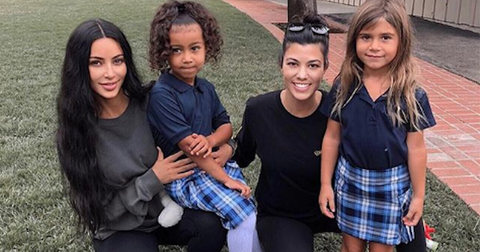 However, he ultimately decided to drop out of school and focus all his attention on creating digital content. By 2012, he had surpassed one million subscribers thanks to his popular "Let's Play" videos. One year later, he became the most subscribed user on the video-sharing platform and between 2014 to 2017, he was the owner of the most viewed YouTube channel. To date, he has surpassed 21 billion video views. However, PewDiePie has had his share of controversy over the years. 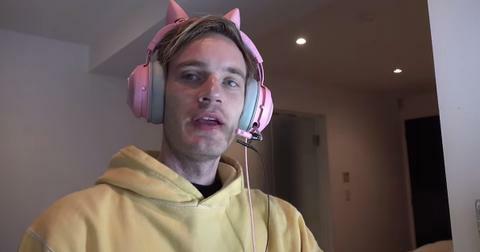 In 2017, PewDiePie was accused of anti-semtism after a video surfaced of him making some seemingly racist remarks. He quickly apologized but both Disney and YouTube (who had a show with PewDiePie at the time) cut ties with the online personality. "I think it's important to say something and I want to make one thing clear: I am in no way supporting any kind of hateful attitudes," he wrote on Tumblr at the time. "I make videos for my audience. I think of the content that I create as entertainment, and not a place for any serious political commentary. I know my audience understand that and that is why they come to my channel. 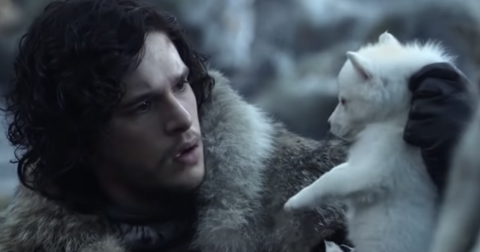 Though this was not my intention, I understand that these jokes were ultimately offensive." Later that year, he was accused of using another racial slur while live-streaming PlayerUnknown's Battlegrounds. Again he responded to the controversy by apologizing. "I'm not going to make any excuses to why [the slur] did [slip out] because there are no excuses for it. I'm disappointed in myself because it seems like I've learned nothing from all these past controversies, [using the slur] was not okay," he explained. "I'm really sorry if I offended, hurt or disappointed anyone with all of this. Being in the position that I am, I should know better." However, PewDiePie promised to keep making content, tweeting, "I'm still here, I'm still making videos. Nice try, Wall Street Journal. Try again mother----ers." Is PewDiePie really leaving YouTube for good? While PewDiePie will be live-streaming on DLive, he has not made any mention of quitting YouTube completely, or shutting down his channel. In fact, PewDiePie uploaded a new video just one week ago where he congratulated T-Series for officially being the most popular YouTube channel. "Yeah you did it, very nice. And all it took was a massive corporate entity with every song in Bollywood," he shadily sang in the video. "Now you're at number one, hope you did nothing wrong like starting your business by selling pirated songs." 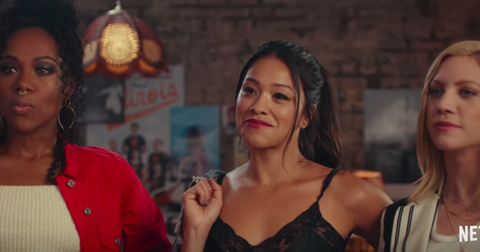 So, long story short — PewDiePie will now be on two video-sharing platforms instead of one.